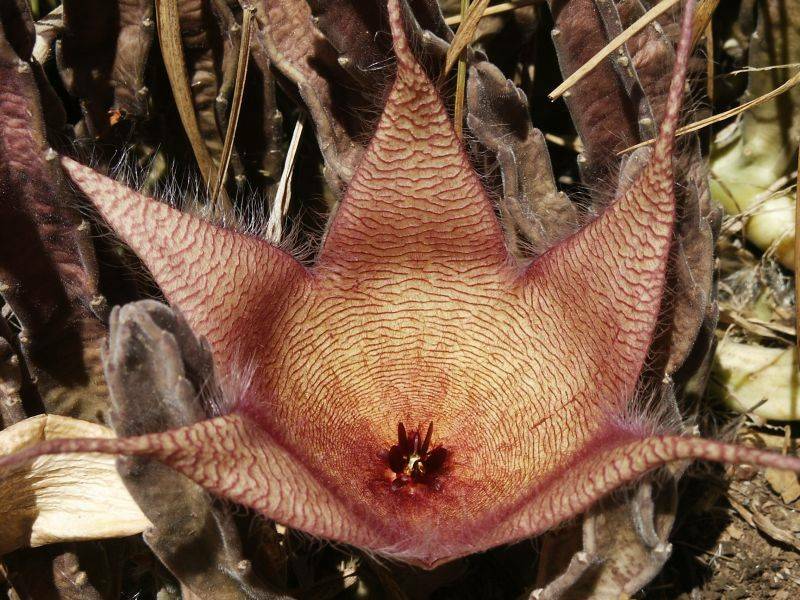 Also listed as a member of the stapeliad family which is also native to South Africa. Copyrighted © Selvin Chin-Chance, written permission required for usage. Hey bud, I had that cactus in my back yard once. Interesting flower but boy does it stink!!! Lots of flies if you can imagine.